Lee Davis doesn’t just make music, he lives and breathes it. Along the way his talents as a gifted musician, producer, composer, songwriter and author have awed audiences across the country. Davis’ musical adventure began at an early age. The native of North Georgia was immersed in music from an early age by his mother, a classically trained vocalist. As a seven-year-old he was already playing piano for his father’s church congregations and, having saved money from delivering newspapers, he bought his first guitar and tape recorder just a few years later. Pretty soon Davis’ musical horizons were expanding. He began learning country music, blues, folk, rock and R&B. Still, his music has always been shaped by those early experiences as a child musical prodigy. Davis was still a teenager when he began collaborating with bandleader Mark Garrison. The pair wrote, recorded and played music together at club dates and concerts throughout the Southeast for many years. He also played in a variety of other bands in this early 20s, while continuing to hone his skills as a classical pianist and composer. Since then Lee has played piano for numerous local and national artists, including Jan Smith, Corey Smith, Ty Herndon, Thompson Square, Linda Davis, Steve Cropper, Joe Diffie, Mark Collie, Billy Dean, as well as scores of other popular artists. Eventually in 1986, Davis opened his own recording studio, Lee Davis Studios, in the quaint Southern town of Maysville, Ga. He had toured all over the country, but it was time to settle down. Since opening Lee Davis Studios, he has produced more than 50 independent albums, by such varied artists as Craig Collins, CMT’s Music City Madness winner Kurt Thomas, Joe Olds, Mercy Tree, The Lord’s Messengers, The Foxfire Boys, world-renowned vocal coach Jan Smith and independent ”phenom” Corey Smith. Davis’ deep experience with a wide variety of genres allows him to help any type of band, singer or musician. Whether from bluegrass to Christian rock and folk to gospel, Davis has done it. And instead of just renting out the studio, then pushing musicians out the door, he works with them to develop a roadmap to the recording industry. 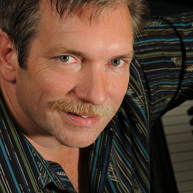 In addition to his composing work, Davis wrote his 1999 book “Keyboard Primer” (published by Watch and Learn) and appeared in an accompanying DVD. The book and DVD teach beginners the basics of playing the piano have sold more than 100,000 copies. He is currently working on a second edition, to be released in 2009.